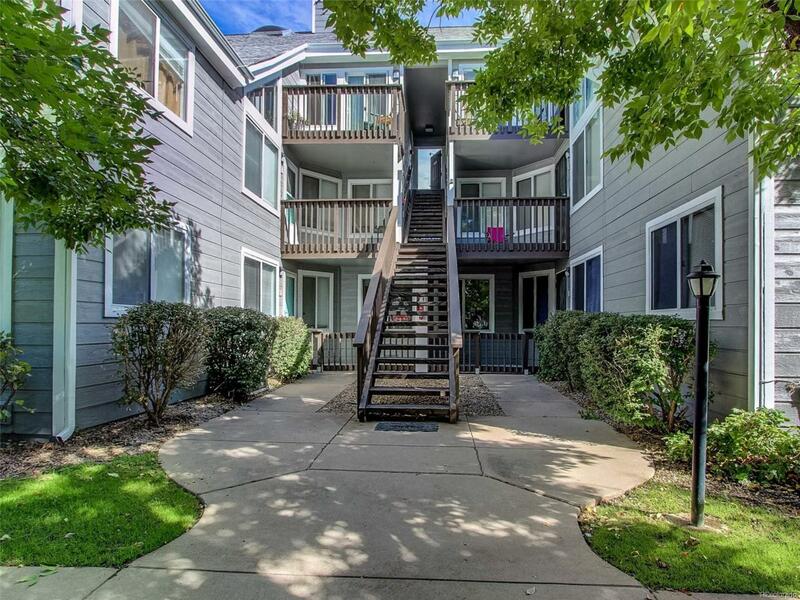 Welcome to this Condo which is a perfect fit for a first time home buyer or a rental property. 2 bedroom, 1 full bath on the ground level. This home features engineered hardwood flooring in the living Room and both bedrooms. The kitchen and laundry area are enhanced with newer 12x12 Quarry Tile floor, and the back door Leads straight out to the secure one car garage. On those hot summer nights you are only 100 yds from the pool or you can relax out front on your private front porch. Newer furnace, cozy fireplace and new paint on outside steps completes this unit. Centrally located to entertainment, shopping, restaurants, Aurora Medical Center, light rail and so much more. Home cannot go FHA at this time.Price Reduced for a Quick Sale!